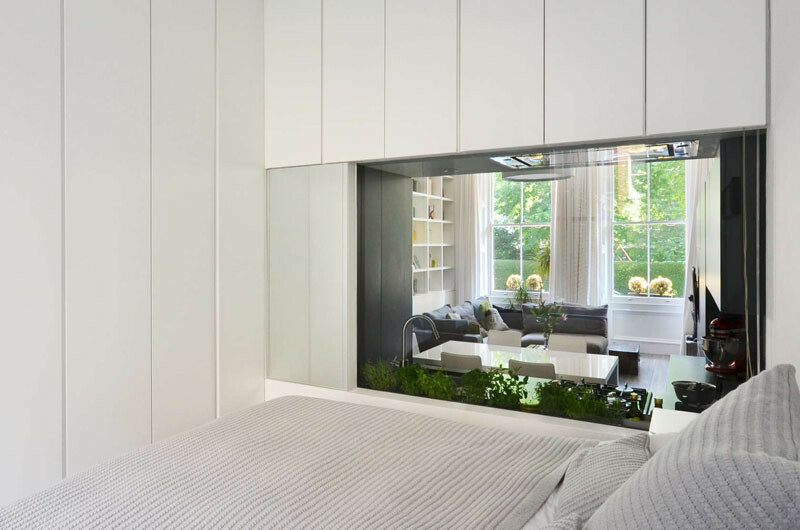 This apartment, located within a late XIX century Edwardian terrace building in London, was renovated to create a home for a young family that wanted a space perfect for modern living. 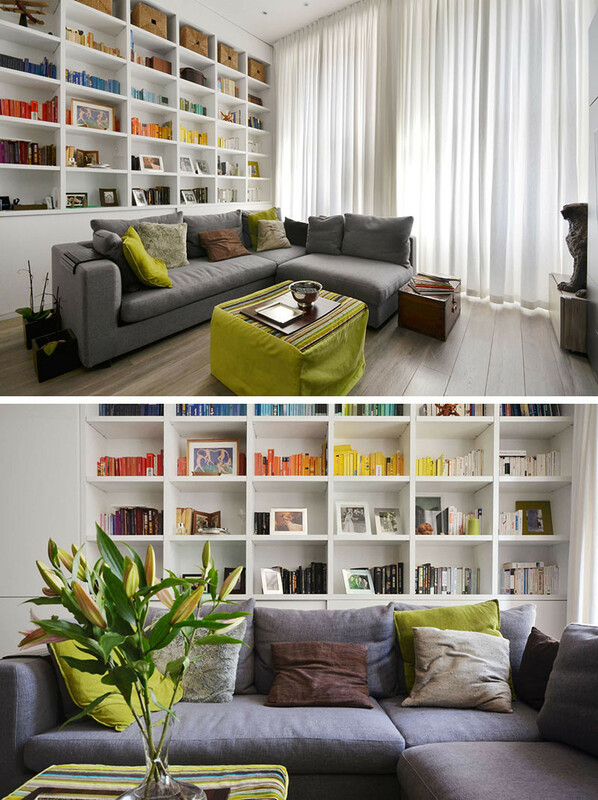 The apartment, designed by Daniele Petteno Architecture Workshop, has a mostly monochrome palette with pops of color added to the decor, with with a green coffee table and pillows, as well as books that have been color-organized. 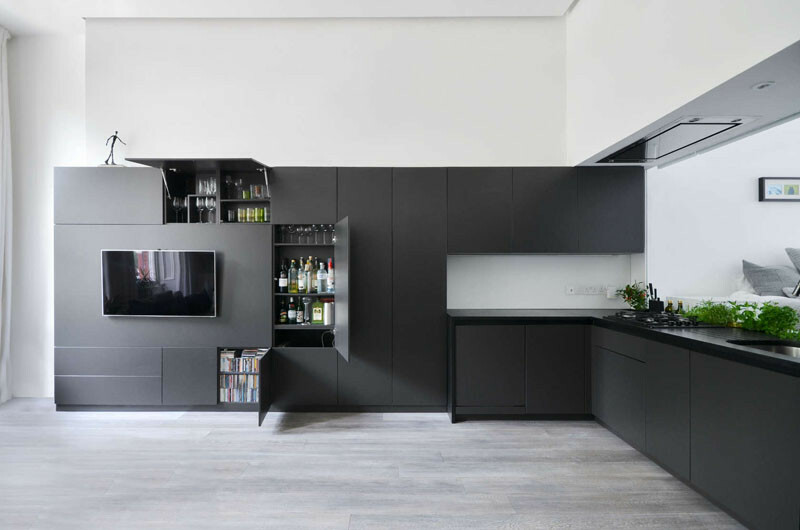 Due to the apartment being very linear, and in an effort to save space, the kitchen cabinets wrap around the wall to become the entertainment center. Here’s something we don’t see too often (if ever). 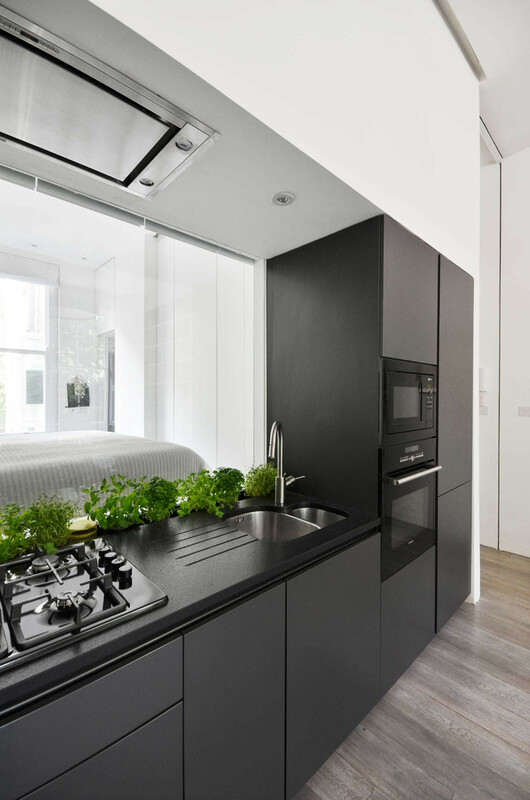 In the kitchen, they’ve included a glass window backsplash behind the sink that provides a view through to the bedroom. 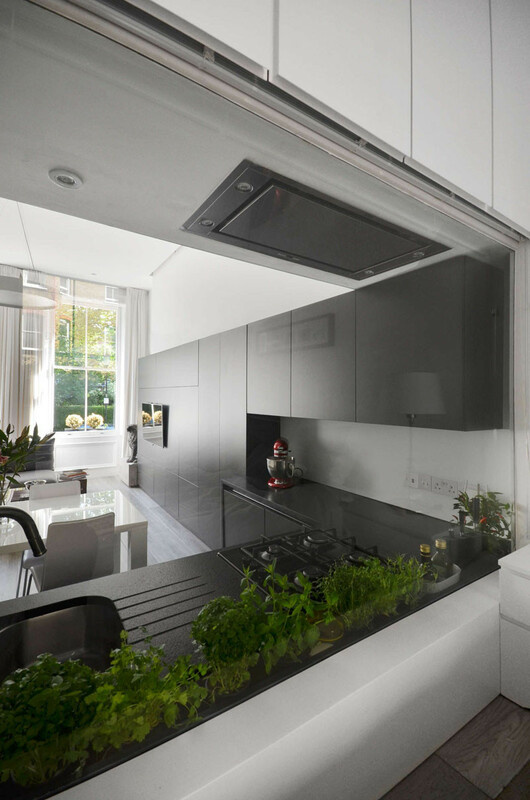 Not only is this an interesting feature, but this is also practical, allowing the natural light from the windows on either end of the apartment to flow through to the middle of the interior, as well as making the overall space feel larger. 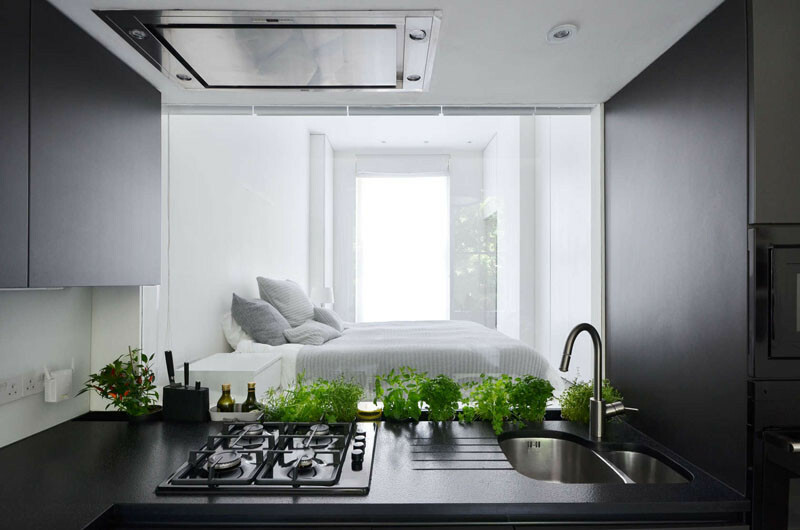 In the bedroom, walls of white cabinets are in a direct contrast to the walls of black cabinets in the living/kitchen area. Here’s the view from the bedroom to the kitchen/living area. 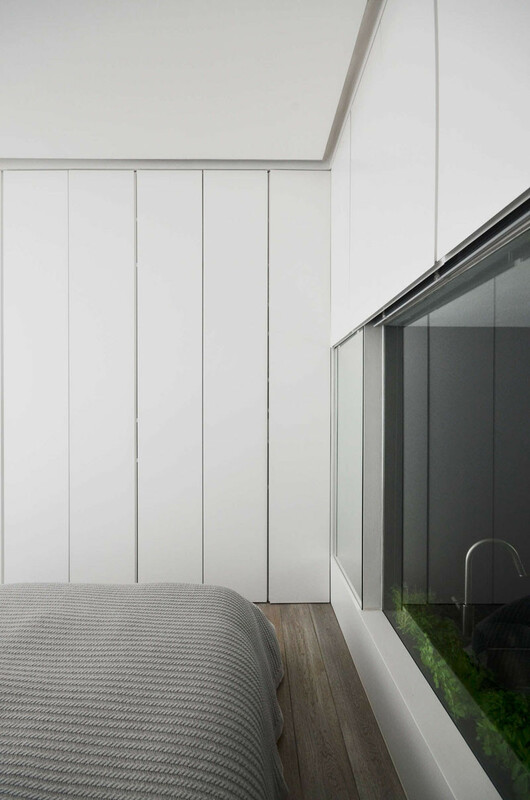 And yes, there’s a screen that can cover the window when you don’t want visitors to see your bedroom. 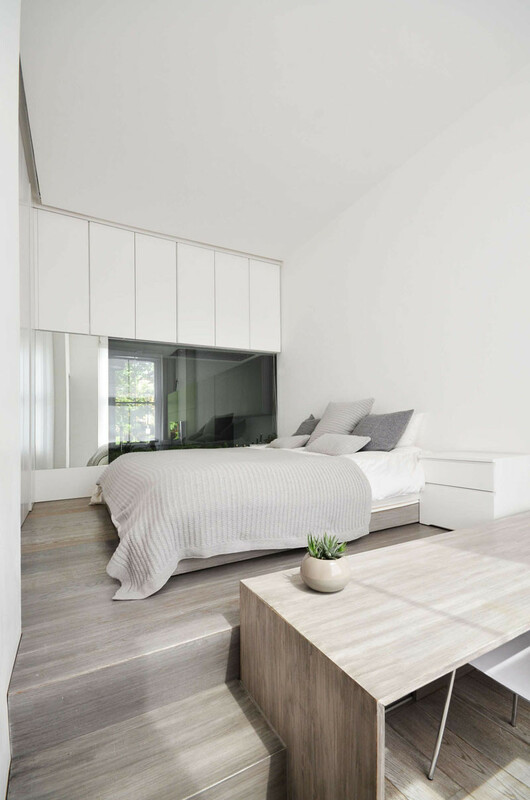 In the bedroom, the bed has been raised up to provide a separation from the desk area below. 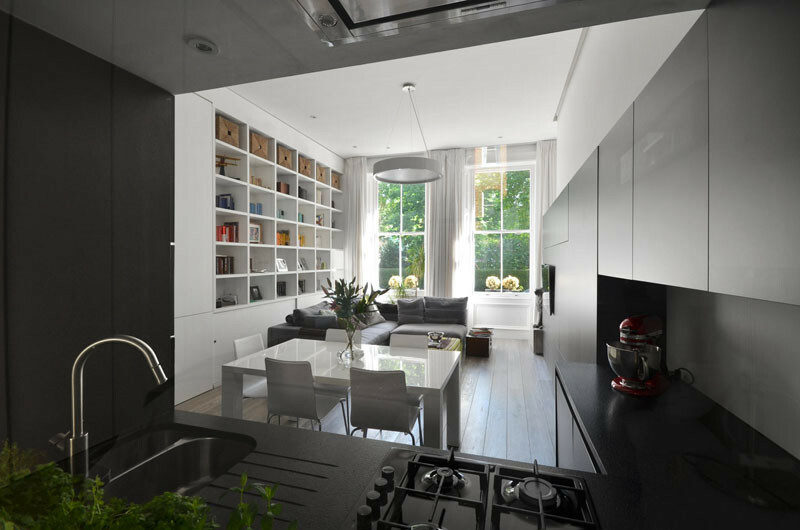 Thoughtfully designed custom-cabinetry is featured throughout the apartment. This bathroom is thin but long, with the shower head positioned directly opposite the vanity and sink.